① DYING AND LIVING IN THE NEIGHBORHOOD | ② HOW DOES AMERICAN HEALTHCARE BECOME THE WORLD'S BEST? Our health and wealth are rooted to the places where we live. Americans are struggling to give their children a good education, take care of their parents and find opportunities for their family to do better. For most Americans, the stress of getting by means that health comes second. By the time we figure out how to stay afloat, someone around us gets sick, which is the leading cause of bankruptcy, while rising costs of care consume any extra earnings we make for our hard work. At the same time, the overall costs of healthcare systems are eating up the taxes we expect to make our schools better, invest in our neighborhoods and give us the support we need to take care of people who depend upon us. Healthcare reform, in both its currents and countercurrents, is breathing new dynamism into systems that are leaving us dying and stranded in our neighborhoods. I’ve spent the past decade as a healthcare insider and street-level entrepreneur who has looked for pioneers and solutions that are bridging the expensive world of healthcare with the rest of America. In my book, I travel across the country to identify the most promising areas where social movements and economic investment can tip the scales back to supporting Americans as they build a life, rather than just when we’re sick and dying. ② How does American Healthcare become the World’s Best? By now, we’ve all heard it: America is lagging in a pack of peers of wealthy countries in how long we live, the survival of infants and the health of adults. This picture glosses over two essential truths: we are much better and much worse than the comparisons convey. Our pockets of excellence remain the best in the world, and attract leading experts, entrepreneurs and students to see how we do it. At the same time, we have counties throughout the country that have health outcomes on par with struggling African countries. Herein lies an extraordinary project and opportunity: figuring out how to bring excellence and high performance to all corners of our country is the challenge of my generation. In the process, we’ll make breakthrough discoveries in how to spread innovation, how to inspire high performance in the hardest to change places of the country, and how to collaborate at unprecedented scale. If the past 50 years of technology development has been in drugs and devices, the next 50 will be in social technologies that accelerate breakthrough performance across the entire American healthcare system. In my talk, I describe the investments we need for America to not only lead at home, but solve some of the most vexing disparities across the globe. Dr. Prabhjot Singh is Director of the Arnhold Institute for Global Health and Chair of the Department of Health System Design and Global Health at the Mount Sinai Health System, as well as Special Advisor for Strategy and Design at the Peterson Center on Healthcare. He directs a team that designs and tests improvements to the health care system that have the potential to scale nationally and abroad, in partnership with the communities they serve. 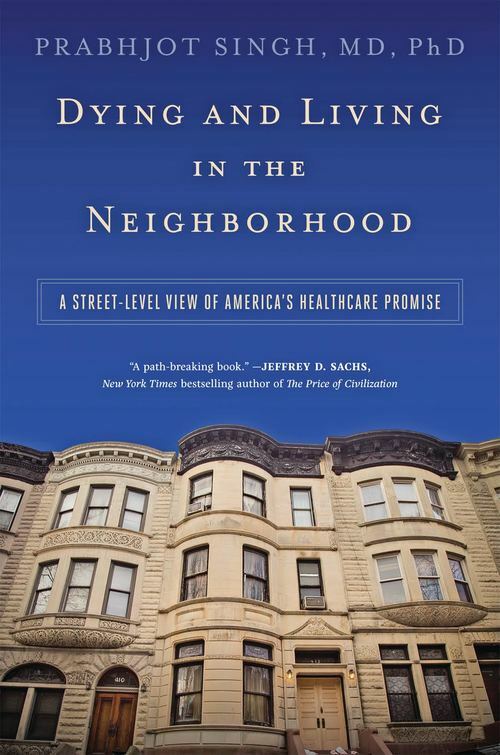 Singh is the author of Dying and Living in the Neighborhood: A Street-Level View of America’s Healthcare Promise (Johns Hopkins Press). His next books will focus on how to deliver health care to remote, “Last Mile” regions (Columbia University Press, with Raj Panjabi, CEO of Last Mile Health), and how to invest in better health care (Columbia Business School Press, with Niyum Gandhi). Previously, he was professor of international and public affairs at Columbia University and co-chair of the One Million Community Health Workers Campaign, a partnership of organizations dedicated to increasing the number and quality of health workers in African regions, with focus on reducing health disparities. Throughout his career, he has focused on how advances in community health systems globally can improve health in America. Singh advises mission-driven enterprises, like City Health Works, that are pioneering new community health models. He also serves on the National Academy of Medicine’s forum on Aging, Independence and Disability, as well as the National Quality Forum’s Taskforce on the impact of housing instability and food insecurity on health. Singh completed a B.A. and B.S. at University of Rochester, an M.D. at Cornell and Ph.D. in Neural and Genetic Systems at Rockefeller University, a Post-Doctoral fellowship in Sustainable Development at Columbia University and training in Internal Medicine at Mount Sinai. He is a Robert Wood Johnson Foundation 40th Anniversary Young Leader, a Paul and Daisy Soros Fellow, term member of the Council on Foreign Relations, Presidential Leadership Scholar and Fellow of the Committee for Global Thought at Columbia University. 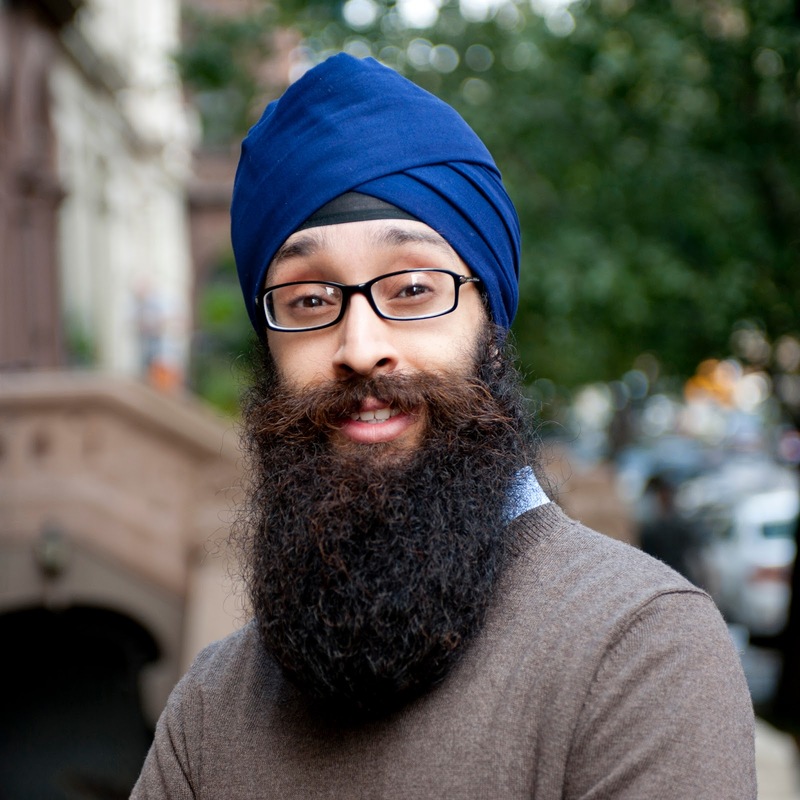 Singh immigrated from Kenya and lives in New York with his family. Prabhjot Singh M.D., is Vice Chairman of Medicine for Population Health and Director of the Arnhold Institute for the Mount Sinai Healthcare System, as well as Special Advisor for Strategy and Design at the Peterson Center for Healthcare. He focuses on practical strategies for consumers, neighbors and healthcare practitioners to co-create the future of the healthcare sector. His work combines systems engineering and social mobilization principles, with an emphasis on how US healthcare can learn from other industries and low-resource settings to improve health and deliver high value healthcare. “Learning by Doing” and “Designing with the End in Mind” sit at the center of his approach. In his global work, he is senior advisor and co-founder of the One Million Community Health Worker Campaign across sub-Saharan Africa with the economist Jeffrey Sachs, which is supported by the African Union and UN Sustainable Development Solutions Network. Domestically, he co-chairs the 100 Million Healthier Lives Campaign, which is hosted by the Institute of Healthcare Improvement and supported by the Robert Wood Johnson Foundation, amongst others. To stay rooted to the East Harlem neighborhood where he lives, he maintains a primary care practice and supports local organizing. He also regularly advises healthcare and economic development startups, such as the Harlem-based City Health Works. Prabhjot was previously a professor of International and Public Affairs at Columbia University and Director of Systems Design at the Earth Institute. Prabhjot is currently a Truman National Security Fellow and term member of the Council on Foreign Relations. He was a 2012 PopTech Science Fellow, Robert Wood Johnson Foundation 40th Anniversary “Young Leader” (10 Americans below 40), and member of the Paul and Daisy Soros Fellowship. Prabhjot completed an MD at Weill Cornell and PhD in Neural and Genetic Systems at Rockefeller University, supported by a National Institutes of Health and Paul and Daisy Soros Fellowship, as well as a Post-Doctoral fellowship in Sustainable Development at Columbia University. He has a BA in History and BS in Biology from the University of Rochester. His work has been covered widely, including in the New England Journal of Medicine, The Lancet, Health Affairs and the New York Times, Columbia Alumni Magazine and Weill Cornell Magazine.